Water doesn't have to be the end with our iPhone water damage repair service. It’s a nightmare scenario for anyone who loves their phone – only a few years ago, dropping your iPhone in water or accidentally spilling a drink on your smartphone may have been considered something of a death sentence! After all, electricity and liquids don’t exactly go together – and for the hundreds of us that have dropped our phones in toilets or have accidentally brought on iPhone water damage by bathing it in the odd glass of wine or pint of beer, the fear is only too real. Thankfully, iPhone water damage repair has evolved significantly over the years, meaning that if your pocket pal is having trouble coming round after a quick dip, there’s still hope – and Tech CPR can help. Tech CPR offer consultation on water damage for iPhones of varying severity – whether you’ve quickly dropped your iPhone in water or if you’re having trouble re-activating your device after heavy damage, our team has the know-how and the tools to be able to attend to cases such as iPhone 6 water damage with efficiency and expertise. Whether you’re using the current model, or if you’re on the receiving end of iPhone 5 water damage, we can attend to Apple devices from previous generations with the same care and turnaround. This is great news for anyone who may find themselves at the mercy of iPhone 4S water damage but without the dedicated coverage, they need for a speedy repair! 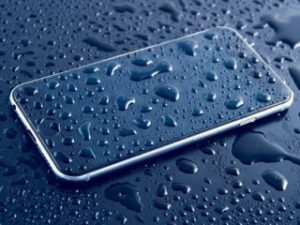 iPhone Water Damage is Not the end of Your iPhone! It’s never advised that you tackle iPhone water damage alone – always make sure that you dry out your device as much as possible and keep it away from power sources – but beyond this, you must always consult an expert on how to revive a handset through iPhone repair. iPhones are notoriously tricky to fix from home when you need to get into the handsets’ interiors – and you may even run the risk of voiding your warranty, or losing your smartphone’s functionality altogether! Surely it’s not worth the risk? If you’re concerned about what makes up the general iPhone 6 water damage repair cost and how much you may be expected to pay long term for repairs, worry no more – here at Tech CPR, we offer flat rates up front so that you are always kept up to speed on fees and timescales. The repair doesn’t need to be complex or expensive – our team understands that you simply need your phone back with you as soon as possible! Ready to get your iPhone fixed? If you’ve been unfortunate enough to drop your iPhone in water and are in need of consultation or dedicated repair of the current iPhone 6 – or if you are worried about what makes up iPhone 5 water damage repair costs – call Tech CPR today or drop in-store in local Chesterfield. We’ll be happy to take a look at your device and will, in most cases, be able to revive your device and remove any disrepair in a matter of hours. Call us today on 01246 452319 or email with a query at your convenience – and let us handle your iPhone water damage repair for less.